My CES 2015 expectations: Connect all the things! With two weather delays and a cross-country flight to Las Vegas from the east coast, I had plenty of time to think about the upcoming week. It’s time for another Consumer Electronics Show; the mother of all trade shows for geeks like me. This marks my tenth trip and here this week’s show will surely be different from my first, back in 2005. The mobile revolution was really just taking shape back then. 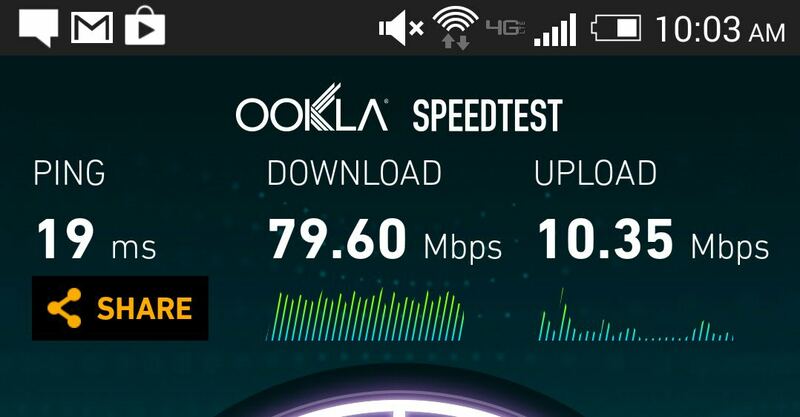 Compare today, for example when we can transfer files on our phones at speeds of 30 Mbps per second or more. Back then, 2G EDGE service was only beginning to be displaced by the 3G EVDO service I was using. I also remember my then-cutting edge PDA — personal digital assistants were precursors of today’s handsets — with a whopping VGA display. That’s 640 x 480 resolution when most devices had 320 x 240 screens. Now we have greater-than-full HD displays in our pockets. The computers we carry have evolved these last 10 years for sure. And I think most of the revolution is over when it comes to mobile hardware; we’re in an evolutionary state now both with the products and the adoption. I know there are still vast numbers of people around the world that don’t yet have a smartphone, but here in the U.S. — and CES is a fairly U.S.-centric show — most of the adult population now carries a smartphone: As of August, Comscore data suggested 72 percent of U.S. consumers had one. Does that mean we won’t see mobile-related products at CES this year? Not a chance. We’ll hear about faster, smaller chips that can power our phones and tablets longer on a single battery charge. And we’ll see more evolution in very particular mobile components. Asus will likely introduce an innovative new smartphone camera feature that uses two lenses for better zooming and low light photos, for example. Aside from adding higher resolution camera sensors and, more recently, optical image stabilization, this type of tech will help further push us towards taking photos with a phone instead of a dedicated camera. So yes, we’ll see or hear about upcoming new phones and tablets that are incrementally better than those currently available. I also expect to see advances in various wireless technologies that make it even easier to connect devices and people: Simpler log-on processes for hotspots, extended wireless range and combined connections to boost speeds. We might think that Bluetooth, LTE, GPS and Wi-Fi aren’t very glamorous but the fact is: Without these radios we’d still be computing at our desks. Processors inside computers and phones power the software we use but broadband and Wi-Fi, for example, power the movement of our data and connect people. And they’re going to connect even more things. Amid the new curved TVs, robots, 3D printers, and many other devices that will share the CES spotlight, the bigger theme this year will be getting everything connected. That means wearables with Wi-Fi, everyday home objects that can talk to us (or each other) and connected cars for when we’re not at home. No, this theme isn’t new as we’ve seen some of this before at CES. The difference is, connecting all the things will be a much bigger, central theme at the 2015 show. It’s a logical next step for a few reasons. As noted, smartphone adoption is nearing full penetration in the U.S. Once we have everyone connected, what’s next? Connecting the devices we all use, either through our smartphones for controlling them and getting data from them, or by letting them talk to each other. 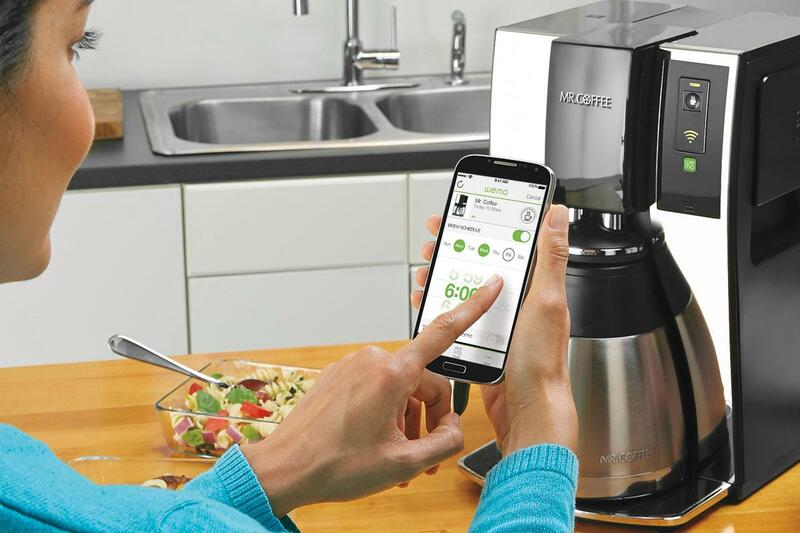 That means more coffee makers you can control from a phone or watch. More intelligent home lighting systems that save energy by knowing which room you’re in and shutting lights in the empty spaces. The fridge that doesn’t have a touchscreen display simply for looks but one that can monitor your food stores and order replacements for you. 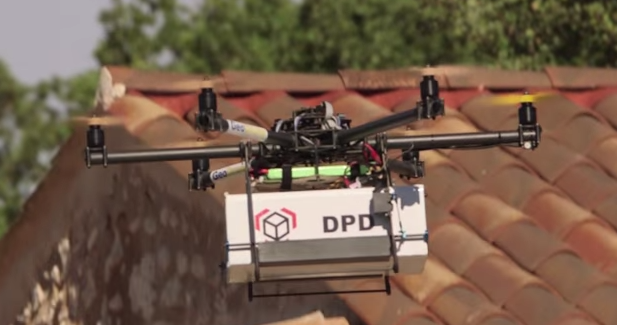 Perhaps that food is delivered by a drone at some point in the near future. Will the usual suspects be at CES, vying for attention? Absolutely. We’ll hear more about the next evolution of chips from the likes of [company]Intel[/company], [company]Qualcomm[/company], [company]Nvidia[/company] and more. That means no lack of new tablets, fanless computers and even a few new Chromebooks; Acer already jumped the gun and announced a few, in fact. Big curved OLED televisions with smarts inside will have plenty of floor space as well, not to mention various cameras, TV set-top boxes, cars with 4G LTE radios, music streamers and more. There’s obviously still a market for those products but this is the year that CES gets a little more personal: More wearable devices, more intelligent products for the home that understand you and more devices talking to each other to interpret and respond to your needs. I expect more companies than ever to enter this space, and not just traditional technology companies. 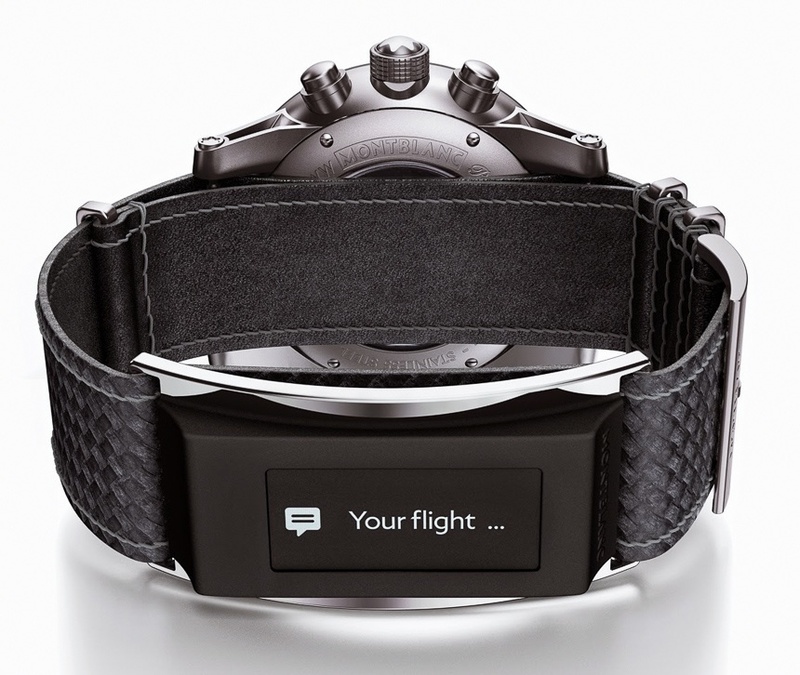 Look to Montblanc last week for a perfect example: The company added a health tracking and smartphone notification option to its high-end low-tech watch line. That’s what I expect to see more of this year: Non-tech brands accepting that they too need to be a part of the connected device theme that has been gathering steam. For me, this entire scenario has been 10 years in the making and I’m excited to see what the near future holds as we take the next step towards connecting all the things. Coffee machines are nice, but can someone figure out how to print directly from a mobile device to a network printer without the need of drivers, special routers, AirPrint or apps running as redirectors?